Nico Rosberg: "Hamilton not in form in 2018"
Valtteri Bottas has targeted the 2018 world championship, just as his high-profile teammate Lewis Hamilton begins to struggle. 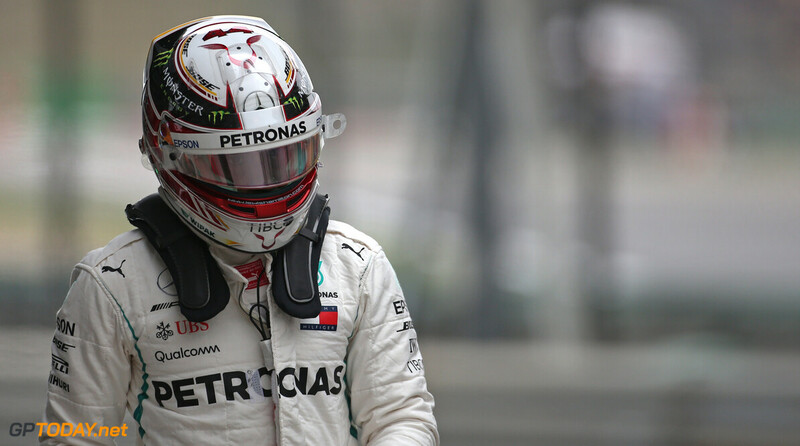 After failing to win in Australia and Bahrain, reigning world champion Hamilton's season hit a low in China as both he and Mercedes struggled. "Both on my side but also as a team, we've been underperforming," he said. "From my side it was a disaster. I'll have to look at it so I can stop losing points and get back to my normal performance level," Hamilton added. But Hamilton's teammate Valtteri Bottas managed to finish second in China, and he also almost won in Bahrain. So the Finn says his world championship target remains on track. "Yes, that's my goal and that's the way it should be," Bottas told AS newspaper. Told that he has to keep beating Hamilton in order to achieve it, he admitted: "I believe in myself, so yes. That's the goal." So amid Hamilton's current contract negotiations and his obvious dip in form, boss Toto Wolff urged the Briton to up his game. "Like the car, he might not have been quite there this weekend," he said in China. "I still think he's the best driver, it's just that even the best have days when they're not at 100 per cent," Wolff added. This is Lewis, he spends most of the season at an incredibly high level, but he always have dips in form during the season. Even last year, when so many hailed it as his most impressive campaign. Yeah, he is an incredibly uneven driver, even at peak performance. But this low is lower than what we've seen do far, methinks. I hope it continues, it makes the races more entertaining. Nico is absurd to feel that it's necessary for Lewis to come back, because of his poor showing at China, as if he's in some sort of mental funk. Let's not forget the first race in Australia. Hamilton was on to probable race win, before for the introduction of the VSC, which cost him a race a likely win. At Bahrain Lewis finished on the podium in third place, after starting in ninth position, because of a gearbox problem. It's not a crisis for him, as much as Rosberg would like to believe.